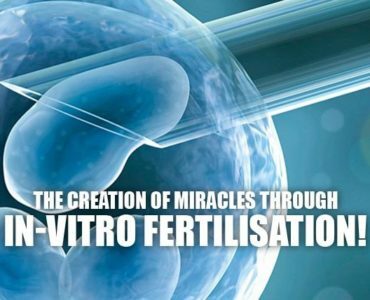 What is in vitro fertilisation (IVF) and how does it work? In vitro fertilisation (IVF) literally means ‘fertilisation in glass’ giving us the familiar term ‘test tube baby’. During the IVF process, eggs are removed from the ovaries and fertilised with sperm in the laboratory. The fertilised egg (embryo) is later placed in the woman’s womb. you have been diagnosed with unexplained infertility. your fallopian tubes are blocked. you have been unsuccessful with other techniques like using fertility drugs or intrauterine insemination (IUI). Throughout the drug treatment, the clinic will monitor your progress. This is done by vaginal ultrasound scans and, possibly, blood tests. 34–38 hours before your eggs are due to be collected you have a hormone injection to help your eggs mature. After egg collection, you are given medication to help prepare the lining of the womb for embryo transfer. This is given as pessaries, injection or gel. For women under the age of 40, one or two embryos can be transferred. If you are 40, or over, a maximum of three can be used. Some clinics may also offer blastocyst transfer, where the fertilised eggs are left to mature for five to six days and then transferred.